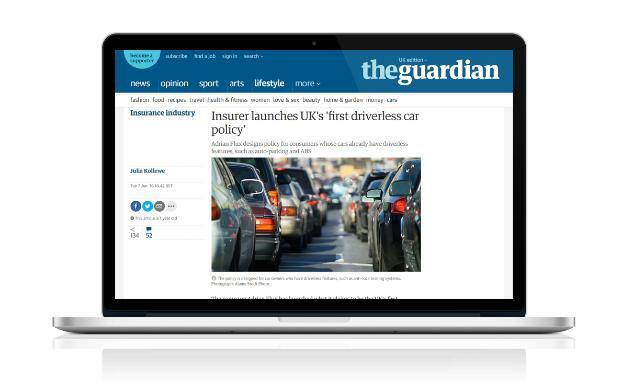 Our content campaign achieved international coverage for the world’s first driverless car policy by the insurance broker, Adrian Flux. Adrian Flux is a specialist UK car insurance broker with over 600,000 insured drivers on the road. Setting themselves apart in the highly competitive marketplace of traditional insurance brokers, they wanted to embrace emerging technology. 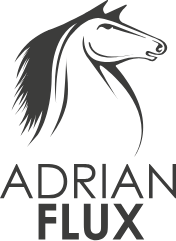 We began by looking at data and insights to explore opportunities and new angles with the team at Adrian Flux. The long hours of social listening, search trend research and creative workshops paid off – we found exactly what we were looking for. The hot topic on the tip of everyone’s tongue was ‘driverless cars’. Led by the tech giants of Silicon Valley, this pioneering technology was hitting the headlines and we spotted an opportunity to become the authoritative voice in this area for car insurance companies. After careful planning, we mapped out a content marketing campaign to drive brand awareness and ignite conversation. To reach this goal, it wasn’t enough to just talk about it. We needed a new angle – the world’s first driverless car insurance policy. We worked with Adrian Flux and our sister agency, ToTheEnd, to write the framework of a policy that could shape the future. After setting up a dedicated ‘driverless car hub’ on the Adrian Flux website, we set about gaining traction and stirring up a buzz. 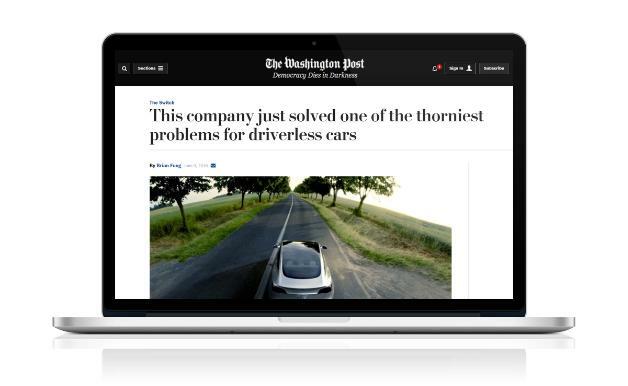 Our content strategy and outreach activity achieved 200 pieces of branded coverage including pieces from The Guardian, Washington Post and Daily Mail. We also landed a #5 rank for ‘driverless car insurance’ and 47 links back to the Adrian Flux website, boosting rankings and search share. Even better, the brand now has a representative (General Manager, Gerry Bucke) on two government and industry panels, lending expertise to the ongoing debates around driverless vehicles.